Today I wanted to share another sample I made for the Latch Card tutorial I shared last week. So many stamp sets come with smaller accent stamps, and this is a great way to incorporate them as a card element and fun closure. 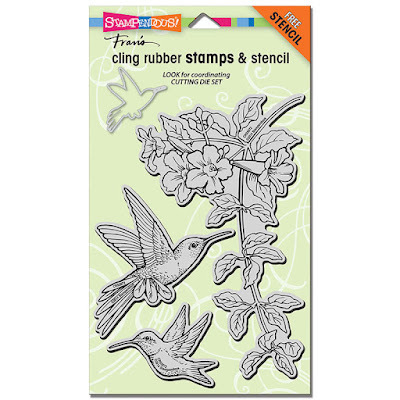 When I was at CHA in January I swung by the Stampendous booth and fell in love with several samples made using this hummingbird set... I love the artwork and especially love the large format. There's also a set of coordinating dies that match the 2 hummingbirds and 2 of the blooms in the floral image. To make the card I stamped the floral image on hot press watercolor paper in a light grey ink, then masked the image using masking fluid. 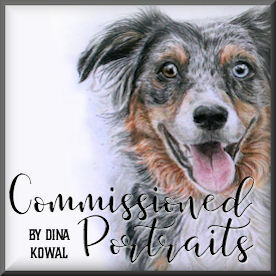 The background is done using Magicals from Lindy's Stamp Gang - this is a new-to-me product that is a lot of fun... it's a water soluble pigment powder mixed with a little bit of mica shimmer. They're similar in concept to Brusho and Color Burst crystals, but a much finer powder and beautiful range of colors and sets. I sprinkled powder onto a craft sheet, misted with water, then laid the panel into the activated color several times to build up layers. Hint: drying in between layers allows the colors to have more variation. Spritzing dry color with clear water gives the lighter speckled look. When the panel was completely dry, I removed the masking fluid and then painted the floral image with QoR watercolors. The hummingbird image was also painted with QoR paints, then brushed with a little wet Magicals for a tiny bit of sparkle. 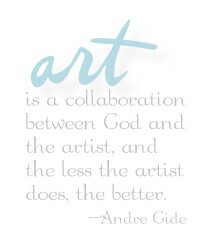 I used this sentiment because it fit the space best - it's and old one from The Angel Company. I die cut the hummingbird to use as the latch of my card - you can see how closely the dies cut to the outline of the stamped image - they're really tight and a great fit! I layered the painted image with 2 other die cuts to give it more stability. I stamped the flowers on the inside too (MFT Grout Grey is a beautiful pale grey for a watermark look.) I love how the hummingbird shows on the inside too! That's all I know! For those who are waiting for more items to be listed on my sale page, it's taking longer than I expected and I'm sorry for the delay. Keep an eye there in a couple more weeks for flat rate boxes of crafty goodness, and Touch Markers! This is so beautiful. You are so talented, every inch is perfect. Oh wow! I never thought of making a pale watermark look for the inside! I always stamp in dark ink and leave the image uncolored. I LOVE this idea. Next time I place a MFT order I am going to have to pick up grout grey! Your coloring as always is stunning! Swoon! What a beautiful card with great instructions I plan on trying. 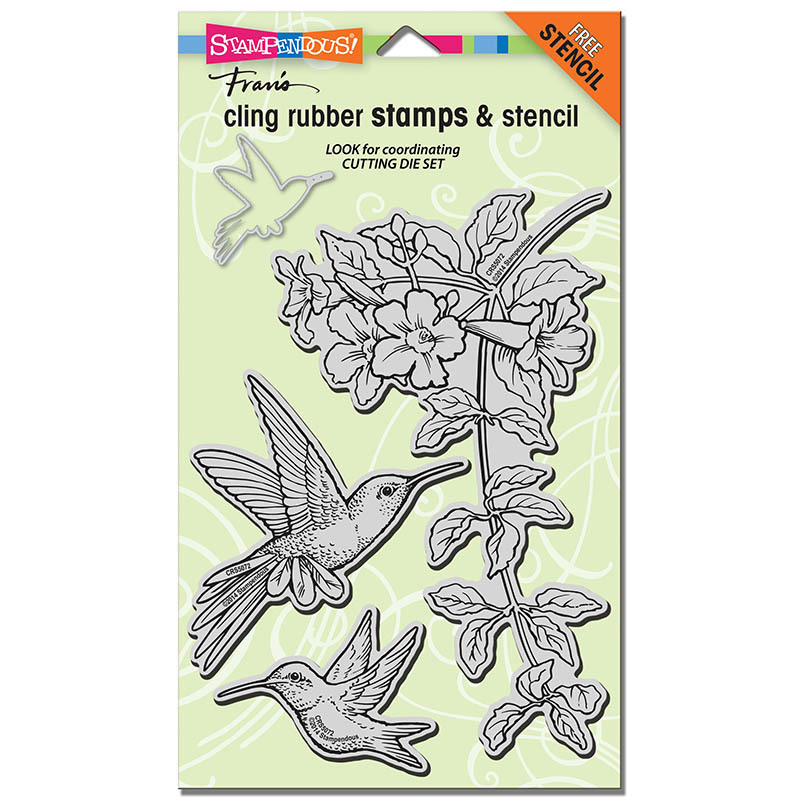 The hummingbird stamp set is fantastic! Oh...pretty background. Love the color and the hummers are great.Thanks. Simply gorgeous. I admire your talent and creativity. Hi , Love your card !